Lee Anne La Forge’s parents recognized her artistic potential at the age of 5, enrolling her in art classes after having seen her exceptional drawings. Her artistic pursuit was curtailed for many years as she pursued a variety of other interests. However, later on, while attending university majoring in Art History that light was rekindled as she was drawn back in to the act of creation, but from a new perspective. After graduation, she began what became a long and rewarding career in public education, where, as an elementary school teacher, she marvelled at how the creative process occurred so naturally to her young students. She observed how intuitively and spontaneously they engaged in their exploration of media, producing beautiful lines and colour. This interest in children’s art lead her to continue her studies in Art Education. After completing her post graduate work at the University of Ottawa, she became a Visual Art Specialist, while continuing to nurture her students in the classroom and providing Teacher Education for the faculty of Education at the University of Ottawa. Now, with 30 years of teaching and mentoring behind her, she is retired, which affords her the luxury of indulging in her renewed passion for painting. 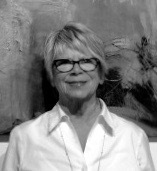 La Forge is appreciative of Susan Ukkola, who shared her expertise and guidance in opening the door to wonderful experiences in working with acrylics and encaustic beeswax. When not working in studio, Lee Anne enjoys quiet times at home with occasional travel to warmer climates with her husband, Dennis. Many of her paintings presently hang in private collections throughout Canada and the United States.